You just got the macbook pro and the External Hard Drive, USB Flash Drive and SD card are both new too or working on other platform, but when you plug in to macbook pro, it doesnot appear. Disk utility sees them, but if you don't know what to do to get them either on desktop or in the finder sidebar, then follow the following instruction. 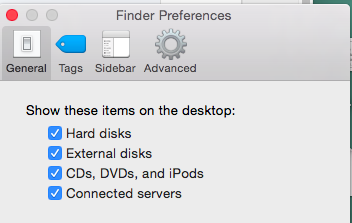 Then click Finder in the menu bar and select Preferences. Make sure you have checked off the box next to External disks. That should mount the icons on the desktop. Sometimes you may also need to restart.